Miami developer Robert Zangrillo is among the 16 parents now facing additional charges in the Justice Department’s largest-ever college admissions investigation. Zangrillo was among the 33 parents indicted in March for paying to get their children into schools that included the University of Southern California, Stanford, Georgetown and Yale. In addition to being charged with conspiracy to commit mail fraud and honest services mail fraud, the Department of Justice now charged Zangrillo and 15 other parents for conspiring to commit fraud and money laundering. The wealthy parents involved in the scheme conspired with William “Rick” Singer to bribe college entrance exam administrators and university athletic coaches and administrators to get their children into the elite universities, according to the complaint. The defendants laundered hundreds of thousands of dollars through Singer’s charity and for-profit company, the Justice Department alleges. In addition to Zangrillo, former Wynn Resorts Development and MGM Resorts International executive Gamal Abdelaziz, known as Gamal Aziz, and former Pacific Investment Management Company CEO Douglas Hodge were also charged this week in a second indictment for fraud and money laundering. The announcement comes as two real estate executives pleaded guilty on Monday in connection with the scheme. Bruce Isackson, a Bay Area real estate developer, and his wife, Davina Isackson pleaded guilty to one felony count of conspiracy to commit mail fraud and honest-services mail fraud. Isackson, president of WP Investments, also pleaded guilty to money laundering and tax fraud. They’re facing prison time of up to 46 months. 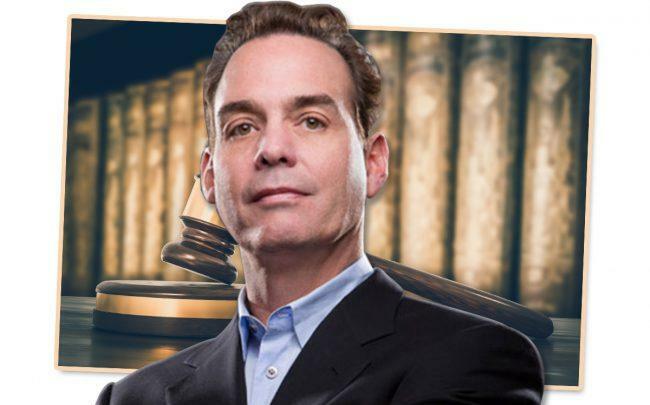 Irvine-based Crown Realty CEO Robert Flaxman pleaded guilty to conspiracy to commit mail fraud and honest services mail fraud, and now faces up to 14 months in prison. Just weeks after the March indictment, it was revealed that Zangrillo, a leading investor and face of the $1 billion Magic City project in Miami’s Little Haiti neighborhood, is no longer involved in the project and was replaced by developer Zachary Vella. Zangrillo is also founder and CEO of Dragon Global, a venture capital and real estate investment firm. According to the complaint, Zangrillo paid off athletic department officials at USC to designate his daughter as an athletic recruit, and had someone take classes on her behalf. He is said to have made two donations: $200,000 to the Key Worldwide Foundation and $50,000 to Women’s Athletics at USC. Though USC rejected his daughter’s application in 2017, the complaint states she was accepted after her second application, touting her rowing experience that was absent from the first application, and was placed on a VIP list of transfers. An arraignment date for Zangrillo hasn’t been scheduled yet, according to the state attorney’s office.